I'm using a custom typescript (after help in this question) which includes (among other things) two additional weights, medium and semibold, and their size modifiers (like \tfa, \tfb and so on). Because of custom weights, I've created custom macros for semibold italics, medium italics and so on (\sbi and \mdi, among others), as \em doesn't alternate regular/italics in custom weights. I use then semibold in heads with size modifiers (globally configured), and those heads are independently styled in TOC (with regular weight), which works as expected. But when I use my custom macro \sbi in a particular head, it's typeset in body size, not in head size (say, like \sbic). 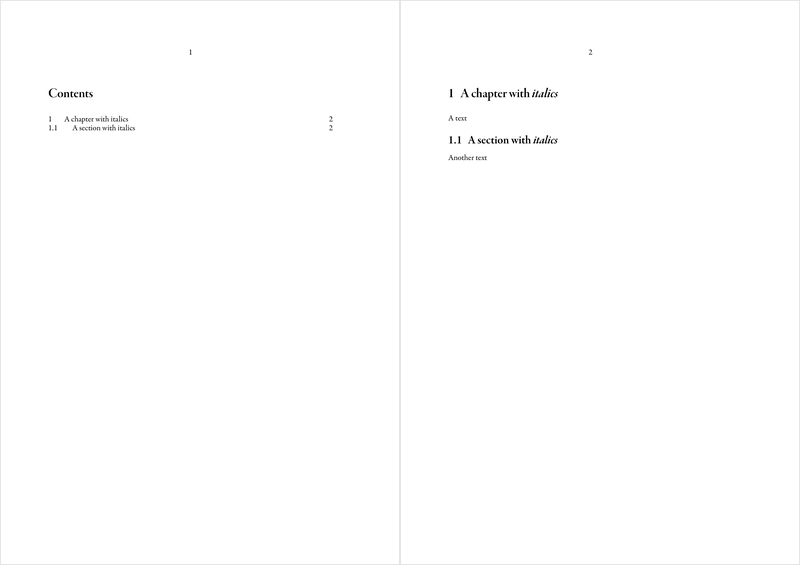 And in TOC it gets semibold italics, not regular italics. Even worse, If I use semibold italics with size modifier in that particular head (say, \sbic), it gets that same size in TOC. Instead of adding additional alternatives for your fonts you should create separate typefaces for the medium or heavy weights. To access the extra weights for the chapter titles and list entries you can switch to a different typeface with the \switchtobodyfont command. In my last post, which you referenced in the question, I made a mistake. Font alternatives can only have two letters, because ConTeXt will use anything after it as the size specifier, as the b in \tfb. Furthermore, before assigning the font alternatives you actually have to define them. The code below rectifies all these problems. 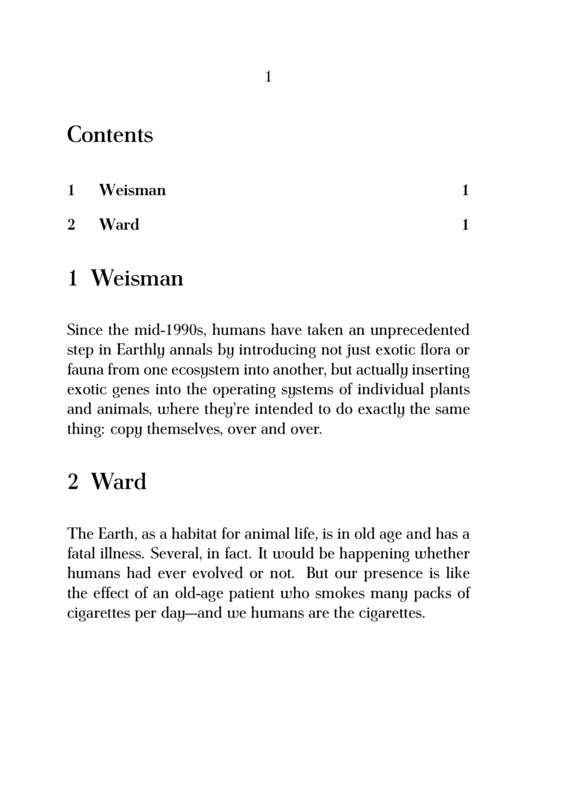 To not have the font switches show up in the TOC, you can assign an alternative text using list. I also recommend to use \start...\stop pairs of all commands. Not the answer you're looking for? Browse other questions tagged table-of-contents sectioning context or ask your own question. How to use different font and shape characters properly in headers? In a chapter*, how do I remove chapter numbers from figures and add the title to the running head? Double-spaced paragraphs with single-spaced headers in classicthesis?